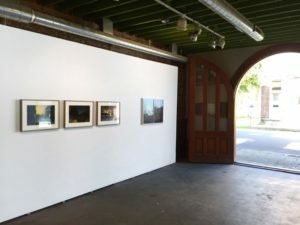 The Department of Art’s faculty member, Dan Torop, contributed prints in two shows, which opened in two concurrent weekends this past August, at the Hudson River Valley. 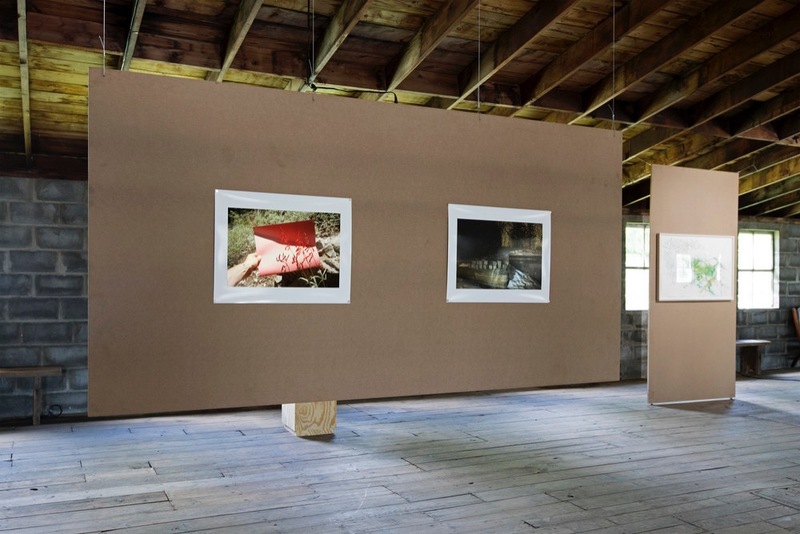 At the non-profit art space, The Frank Institute at CR10, in Linlithgo, NY, artist-curators Karsten Krejcarek, Vanessa Albury, and Rachel Rampleman (the latter two known as The Sun That Never Sets) put together an ambitious two day exhibition entitled The Sound Behind You 2. As quoted by the curator, the show “exhibits works from a wide-range of disciplines that investigate landscape and natural phenomenon… and echoes the rich history of naturalist enthusiasm and artistic reflection of the area. The works included act as catalyst to inspire wanderlust, exploration, and venture into the natural world.” In CR10’s 12,000 sq. ft. two-level space was a tremendous amount of experimental video works, as well as musical performances, a virtual reality setup, drawings, sculptures, and photographs. The show made a strong argument for altered modes of documenting landscapes. The majority of the work was post-processed with a clear-eyed understanding of another landscape, the reality of digital tools. The Sound Behind You 2 featured works by Kari Adelaide, Aaron Alden, Jesse Bransford, April Childers, Peter Clough, Crystal Curtis, Kirsten Deirup, Tina Dillman, Brock Enright, Thale Fastvold, Flatsitter, Pik-Shuen Fung, Victoria Hall, Ilana Halperin, Juliet Jacobson, Ambre Kelly, Seth Kelly, Jac Lahav, LoVid, Jason Martin, Jennifer & Kevin McCoy, David Mitchell, Matt Moorman, Jan Nagle, Jeremy Olson, Iliana Ortega, Max Razdow, Raquel Schwartz Amy Silver, Tanja Thorjussen, Dan Torop, Siebren Versteeg, Angela Washko, White Hills, Vanessa Albury, and Rachel Rampleman. The show included work by Elizabeth Chiles, Nils Ericson, Ryan James MacFarland, Dan Torop, and Stephen Truax. In the show Post Hudson, Torop shared a wall with Ryan James MacFarland, who was born and raised in Tallahassee.